GolfBoard is not only a perfect vehicle for golf, it’s an ideal vehicle for social media. Want to know what drives millennials to take action? Create a compelling, new and social golf experience. Top Golf is a perfect example of this phenomenon. It’s new, socially engaging and unique. You can create opportunities to be a destination golf course by bringing something new to your golf course to attract golfers who wouldn’t play it otherwise. GolfBoard is the perfect product to drive rounds and revenue at your golf course and increase social engagement, but you have to promote it well. Below are some tips to improve the promotion of GolfBoard or you can Hire 19th Hole Media. Need Help Promoting GolfBoard at your course? Prior to writing this article we looked at courses across the country who are using GolfBoard and their social media promotion of the boards is, quite frankly, hugely lacking – one or two Instagram post a year doesn’t cut it. Here’s how you can promote GolfBoard to your social audience to increase rounds, memberships and revenue. The proof is in … the purchasing! 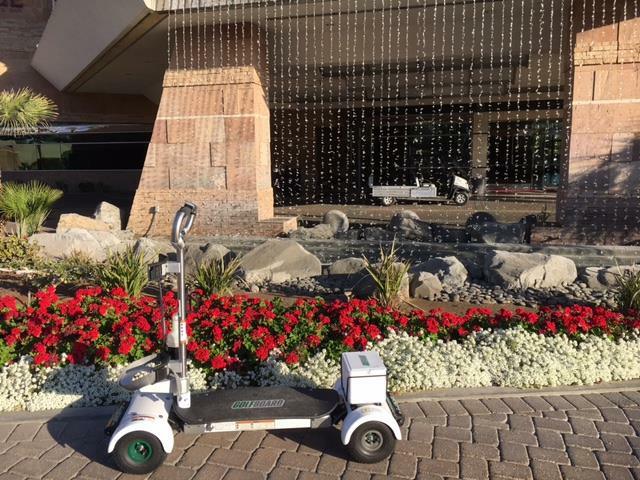 That’s exactly what Indian Wells Golf Resort did with its GolfBoard fleet after 19th Hole Media assisted them with their program launch in 2016-17. They doubled their fleet to eight boards for the 2017-18 season. For those unfamiliar, GolfBoard is a surfboard-like motorized scooter on which golfers carry their clubs and traverse the course in a manner similar to surfing, skiing or skating. Those who participate in those sports usually find mastering GolfBoard a breeze. We sometimes need a little help, but a driver’s education session on the range and a few holes on the course usually does the trick. As a social media challenge, GolfBoard presents a similar education curve that revolves around two questions: What is it? How do you use it? The good news is social media is ideally suited to answer these questions and draw new golfers, new revenue and new excitement to your course! 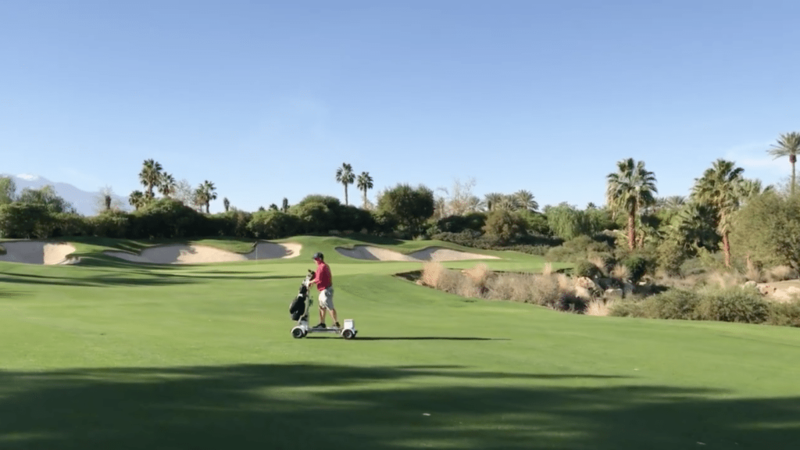 Here’s a look at the case study for the launch at Indian Wells Golf Course and the blueprint for promoting GolfBoard at your course. The first thing we did at Indian Wells was to write a press release announcing GolfBoard and promote it on Facebook. The response was incredible. Without boosting, the post had more than 10,000 views and 100 likes and many enthusiastic comments that show that showed the interest and awareness of GolfBoard. Sprinkled amongst those comments were some questions about GolfBoard use and safety that were easily addressed. This post was published weeks before the arrival of the boards to not only stir enthusiasm but early rentals. You should have a waiting list at your course by the time the boards arrive. Another critical part of the pre-launch is to introduce the one-time safety waiver that has to be signed and video that has to be viewed at each course before using GolfBoard. This also presents a great social media opportunity for promotion and education and to answer more questions about them and build engagement. You’ll quickly learn that photos of the boards stir interest but also raise questions. Seeing videos of the boards in action flip the switch for people and drive them to rent them. Why? Because they’re fun! Which brings us to the next step. When the boards arrive, you want to start creating content around them as quickly as possible. Take photos of them at course when they arrive but then get them active on the course and start taking videos of golfers using them. This is your best marketing vehicle for GolfBoard and where 19th Hole Media can help you most. We’re experts at GolfBoard video and creating videos that showcase the boards and your course, which is the best of both worlds. GolfBoard can be rented solo or in groups, but you want to start booking groups as soon as possible. GolfBoard is a great group learning experience and golfers enjoy mastering the boards together. Facebook and Instagram are the best social media vehicles for promoting GolfBoard, but Instagram is particularly effective due to the ease of loading video and the existing community of GolfBoarders and courses that use GolfBoard that already exists. Eventually the goal is for your GolfBoarders to start sharing their own videos on your social media, and you should be encouraging these. These are self-generating testimonials for use of the boards! The boards are seen as a draw for millennials, but you’ll quickly find that the boards will impact all demographics of your course when promoted properly, which for older generations means allaying safety concerns. The best benefit is that you’ll find new golfers discovering your course out of curiosity or because they’ve experienced the boards elsewhere and this is their preferred way to play. Prior to joining 19th Hole Media, Corey Ross, our Content Strategist, worked on the GolfBoard launch at Maderas Golf Club in San Diego and created the social media program for promoting them. In the first year of the boards at the course, they generated nearly 1,000 rentals and we’re credited with generating an additional $100,000 for the course! That’s the kind of impact GolfBoard can have for your course if promoted properly and consistently. One thing we see consistently is an underpromotion of GolfBoard by the courses that have it. GolfBoard gives your course a competitive advantage and social media helps you capitalize on it. You’ve already paid to rent or buy the boards. It’s only a little more to make sure they’re marketed properly! Let us help and show you how to Surf the Earth on social media! Enter your information to download our document The 8 Photos/Videos You MUST Have To Promote GolfBoard On Social Media. Use the information to successfully promote GolfBoards at your golf course. Enjoy! Use the information in the download and the tips in this post and you will likely be well on your way to expanding your GolfBoard fleet. 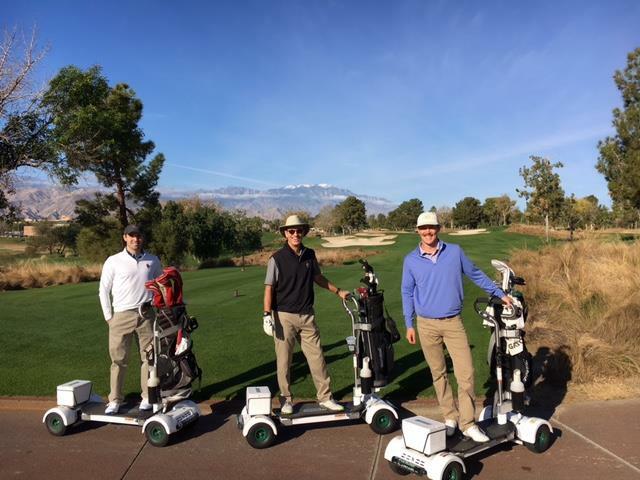 We created a program specifically to promote the booking of GolfBoard at your golf course. Learn how we can create social media campaigns to get new golfers to your course and sell out on your GolfBoard rentals. Posted in GolfBoard, Marketing for Golf Courses, The Social Golf Course and tagged Golf Course Marketing, GolfBoard, GolfBoard Marketing, Social Media.